This family owned bar is the epitome of authentic Oakland. The crowd consists of OG Oaklanders who’ve lived in the Dimond for generations. The atmosphere is friendly and six flat screen TVs make this an ideal spot for game night. Get ready for some good ol’ fashioned trash talk! 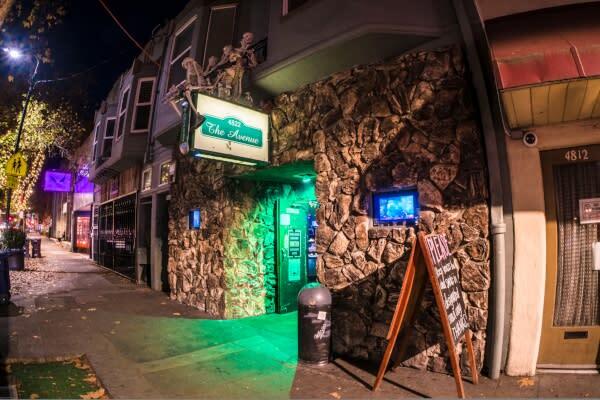 Lovingly called “The Ave” by regulars, this bar’s wild décor should be entertaining enough for an Oakland bar hop. Visit Oakland Tip: Enjoy arcade games and a pool table in the back! Old sports memorabilia plaster the walls of George & Walt’s so it’s hard to say if this is a dive bar disguised as a sports bar or the other way around. Either way they have every sports channel and daily drink specials so pull up! Located just two blocks away from the iconic Fentons Creamery, regulars love their larger than normal selection of craft brews on tap (10-12, respectively). In 2016 Thrillist named this place one of the top dive bars in the nation. 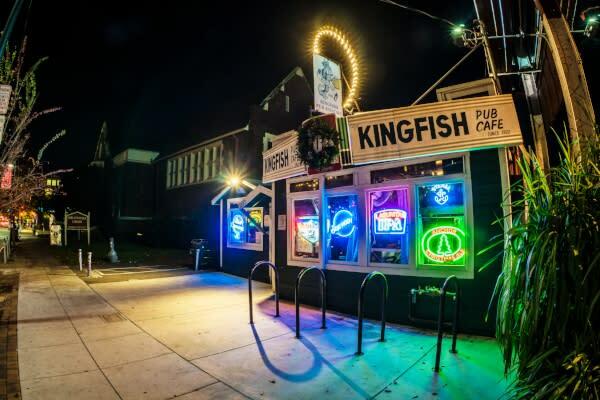 Kingfish opened its doors in 1922 and their drink prices haven’t gone up much since. If you need more convincing, the indoor/outdoor area in the back has hella tv’s and a second bar. Oakland’s classic saloon, open since 1916, makes one of the best Bloody Marys in The Town! Merchant’s is often visited by bikers, but don’t be intimidated by the leather. Chat it up with the regulars for some memorable stories. 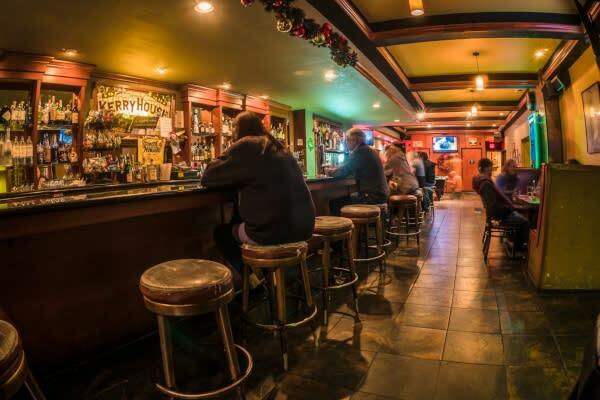 Radio is a cozy spot downtown that’s easily accessible from the 12th St. BART Station. Known for their roaring music and “metal Sundays,” this spot is best for anyone looking to zone out and escape into the music. Location, Location, Location! 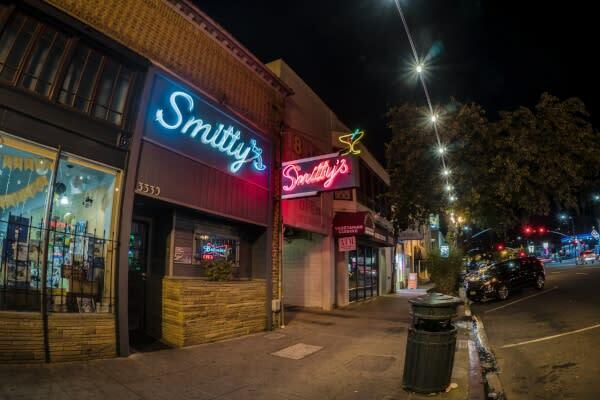 Smitty’s is just a short walk from Lake Merritt, popular eateries, and the historical Grand Lake Theater. Visit Oakland Tip: Stop by Miss Saigon’s Vietnamese restaurant next door, open until 12am. It’s a match made in dive bar heaven.